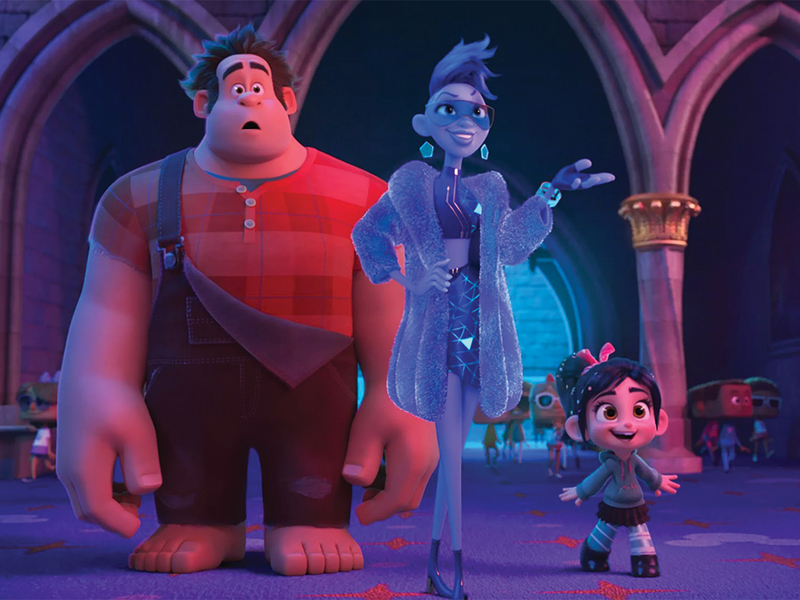 The sequel to Disney’s “Wreck it Ralph,” “Ralph Breaks the Internet” places Vanellope (Sarah Silverman) and Ralph (John C. Reilly) in a chaotic action-adventure based around internet culture. Opening to an impressive $18 million, the movie delivers on a chaotic and exciting experience filled with plentiful easter eggs that enrich the viewing experience even further. Fans of gaming and internet culture will appreciate the attention to detail that the film is chock-full of. The movie knows its audience and understands the world it is portraying, making for a fun filled adventure that plays its strengths in a loveable and clever way. “Ralph Breaks the Internet” stands on the first film’s success and finds itself better than its predecessor. The movie delivers on a well developed, interesting plot that engrosses the viewers in the simple-but-sweet story. While some scenes do feel a little rushed and not explored enough, it overall doesn’t slow down the experience. Our two protagonists are still the loveable characters we know. Ralph’s naivety makes him endearing and funny while Vanellope’s spunky attitude plays well into her intelligence. The characters play off of each other in a natural and consistent way. The new characters introduced such as Shank (Gal Gadot) and Yesss (Taraji P. Henson) help our protagonists come into their own and tie together the ensemble cast quite nicely. Their placement in the plot establishes their characters and helps our protagonists maneuver the wide open world of the internet. The jokes are well written and know their audience when it comes to internet weirdness. Only a few jokes miss the audience but thankfully those moments are few and far between. The funny nature of the film shines through hilarious quips that are memorable even after the credits roll. As a whole, the story feels fulfilling and touching in a way that other Disney movies can’t quite compare to. Visually, the film is absolutely stunning. The CGI is well animated and the characters emote in tandem with the voice acting. The emotions that the actors portray shine very brightly through their animated counterparts bringing the characters to life in a big way. A huge emphasis is put onto background scenery in this film as each individual scene has visual gags and eyecandy. Big establishing shots engross the viewer into the world they are watching. I found myself looking more at the scenery than the focus of the scene to look at everything that it had to offer. Sound design and music of the movie are also areas of greatness. The sound design especially makes the film come alive with sounds that feel satisfying and play well into the scene giving weight to the actions behind the sounds. It’s enriching to hear the rumbling of a car engine to the sublime sounds of the bustling internet. It is well worth the praise and deserves appreciation for the amount of work put into making each scene sound as good as it does. The music in the film felt not too much different from a Disney movie soundtrack with only a few tracks that immediately jump to mind. Otherwise the original soundtrack is not as memorable when compared to the visuals and story. VERDICT: “Ralph Breaks the Internet” is a fun and endearing film with many different gags, scenes and characters that will entrance audiences with its beautiful world of the internet. The film lives up to and surpasses the great standards set by its predecessor. Next articleRIP: Rest in Peace, or Rise in Plays?